What’s the big deal about weather? As a sailor, weather dictates a lot about your life - and there’s a great resource you should know about. Give Me All the Books! I'm a reader. I've been a reader since I was tiny, and it's not unusual for me to be found with my nose in a book, tucked away in some corner. The Kindle* is a revelation of an invention for my love of books (also it's a disaster - do you know how easy it is to buy a book on a Kindle?!!!) given that I sail on a small boat with limited bookshelf space. That electronic device holds hundreds of books in a space less than a regular paperback. some of the books we have. And you can borrow books from the library on your kindle. Did you know that? (Here's the link to my local public library system, which joins with libraries all over southwest Virginia.) They don't have everything, but wow is it cool to reserve a book and have it show up! Magic. Books in general are magic, not just the ones on an e-reader. They carry us to worlds both real and created. They contain information, inspiration, and imagination. And there are some books that have stood the test of time for us as cruisers, ones that will go on the boat on that limited amount of bookshelf. They've got salt-water stains, ancient address labels, dog ears, and post-it notes. Some are so loved that we're on to a second version; others are so important we've got a copy at home as well as on board. 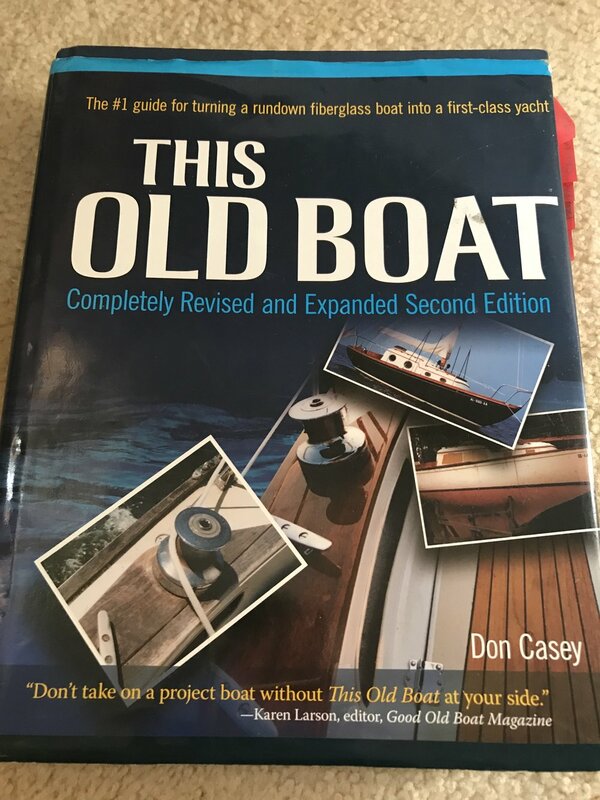 There are reference books that get pulled out time and time again for boat projects. Edition the newer. We keep both editions handy. There are reference books for wildlife identification, often area-specific, as well as cruising guides (none listed here - those morph as we go along!). There are general cruising books, tomes on "how to cruise" - at least one of these is totally outdated but we still have it on board! There are the galley books - and yes, I also carry a collection of cookbooks with me! Don't have this one? Get it. Now. And finally, there are the inspiration books. I've read every one of these a few hundred times, it seems, and they'll STILL come aboard. Why all the Pardey books? Simple, really - their books are the reason we bought the boat we did in 1992, and the reason we're still cruising on her today. She may be small, but she is mighty - and if they could do it, so can we. What books are your MUST-HAVEs? Now that I have a Kindle, I can take more with me!